The Florida Lotto is another one of those lotto’s which you will never hear a bad word about due to the enormous amount of good that it does for the inhabitants of Florida. The main aim of the Florida Lotto has always been to improve the standard of education within the state, so it was of little wonder that a constitutional amendment way back in 1986 saw the formation of the Florida Lotto, and it would not be an exaggeration to say that it has gone from strength to strength, raising an enormous amount of money along the way to literally transform the standard of education throughout the state. The Florida Lotto is one of those ‘what you see it what you get’ type of lotto’s in that it is extremely straightforward to play and there are only four levels of prizes with no bonus balls or anything like that to take into consideration. To take part in the Florida Lotto it is just a case of choosing six numbers between 1 – 53 and if you get anything from three correct numbers and upwards you will see a return on your investment. The price of a Florida Lotto ticket is only $1 so it is at a level where players will buy a ticket without really giving it much thought, hence the large numbers of tickets which are sold for this lotto every week. The Florida Lotto draw takes place on Wednesdays and Saturdays at 11.15pm with a cut off time for purchasing tickets at 10.40pm, local time. Always bear these cut of times in mind when purchasing tickets because it can be extremely frustrating if you miss out when buying tickets from a different time zone. The odds of winning the Florida Lotto are listed below and as you can see, unlike lotto’s such as the California version, there are only four set of odds for you to take into consideration. If you live in Florida you will have no problem checking the winning lotto numbers because of the local media, but if you are someone who enjoys playing the lotto from a different country, as always, the internet is your friend. 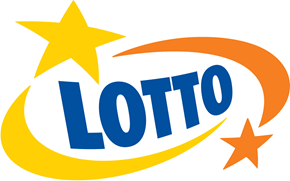 The Florida Lotto official website always lists the winning numbers as soon as the draw has taken place as well as displaying other relevant lotto information such as the size of the rollover. Most lotto’s now also have a YouTube channel from which the lotto draw is shown live and the Florida Lotto is no exception. 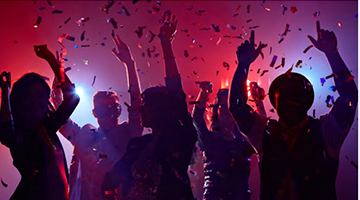 It should be noted that unlike many other lotto’s, the Florida Lotto organisers have set up an extensive social media network, so you will be able to view the latest results on Facebook and Twitter.